The climate change impact is apparent to, and felt by, communities living on coastal areas and small islands, where rising sea levels means diminishing land mass. 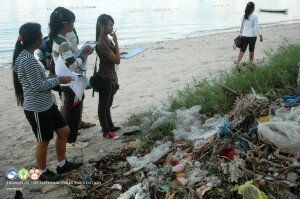 This is a real challenge faced by Nusa Penida – an area comprising 3 small islands: Nusa Penida, Nusa Ceningan and Nusa Lembongan. Located off the southeast coast of Bali, this group of islands forms a habitat comprising the sea, coastal area, mangrove forest, dry farm land and small forests spread over areas where temples are located. 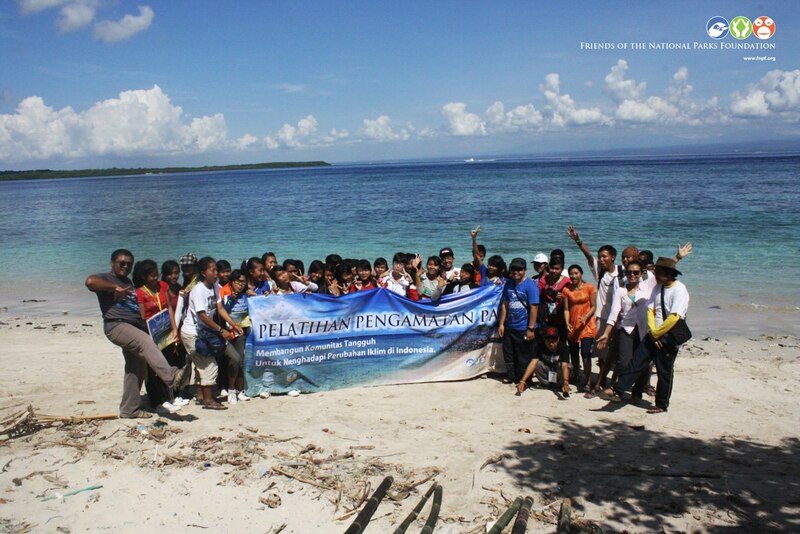 Climate change has brought a negative impact on the ecosystem of Nusa Penida, both land and sea, wildlife sustainability and also community’s livelihood. Based on a shared agreement to protect and conserve the environment for the sustainable future of communities in Nusa Penida, FNPF (Friends of National Park Foundation) and UNESCO together organized Sandwatch Training on Nusa Penida from 9th – 10thFebruary 2013. The opening ceremony was held in a gymnasium at SMAN 1 Nusa Penida, attended by a total of 90 students from SMAN 1 Nusa Penida, SMKN Nusa Penida, and Vocational High School, as well as 4 teachers. The opening address by the principal of SMAN 1 Nusa Penida was followed by speeches from Mrs. Estradivari the representative of UNESCO, and enriched with presentations from marine experts such Dr. Agus Supangat from the National Council on Climate Change (DNPI); Coral Triangle Center; Reef Check Indonesia and Genitri Foundation.